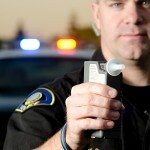 Probable cause for stopping a driver is frequently an issue in California DUI cases. When police have no sufficient cause to stop a driver, any evidence obtained as a result of the stop must be suppressed. Assuming police officers had sufficient grounds for making the stop, the prosecution must then justify the driver’s investigatory detention by police. Again, if there is insufficient cause to detain a driver beyond a temporary stop, then a good driving under influence defense lawyer will move to suppress any subsequently-obtained evidence. A successful motion will suppress all evidence except the observations and statements made during the brief stop. Finally, if predictable cause existed to detain an individual for a field investigation (field sobriety tests and brief questioning), the law still requires substantial proof of intoxication to justify an arrest. Without such pre-arrest evidence, any evidence police obtain after an arrest is subject to suppression. Thus, in a California DUI case, a prosecutor must produce an escalating amount of evidence at each of the three stages: the stop, the detention, and the arrest. Lacking sufficient evidence at any stage requires the suppression of evidence obtained at any later stage. However, in California, a kind of “double standard” seems to emerge in driving under influence prosecutions. The state’s trial and appellate courts often seem more able to find predictable cause in DUI cases than in other types of cases. 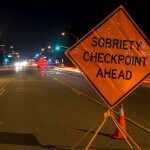 That’s one reason those charged with driving under influence need the services of a good California DUI defense lawyer. An experienced DUI defense attorney takes the time to comprehensively assess the charges against you, interview eyewitnesses, and compile proof for your defense. He or she will move to suppress any wrongly-obtained proof. If you face a DUI charge in California, get the legal help you need and speak with an experienced DUI defense attorney right away.